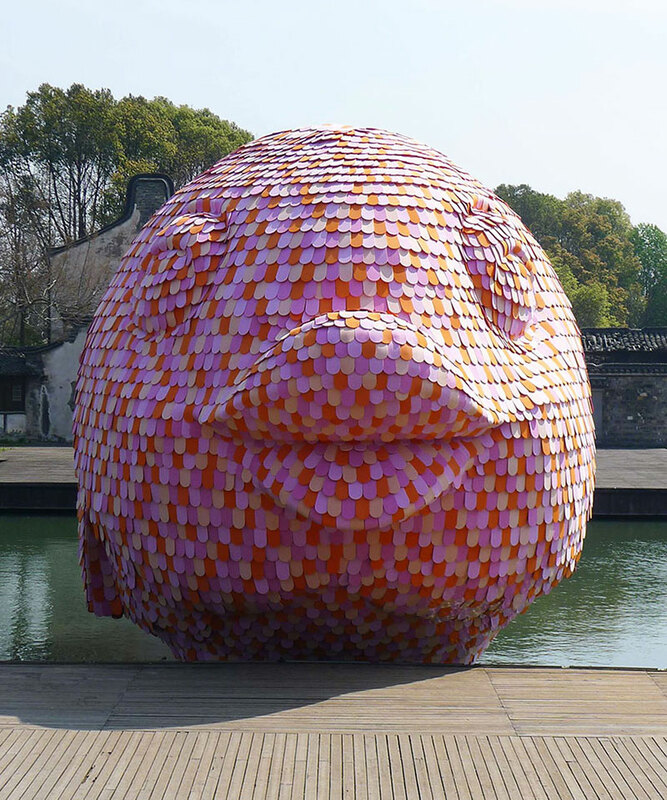 An oversized fish installation consisting of 12,000 foam kick boards by Florentijn Hofman. 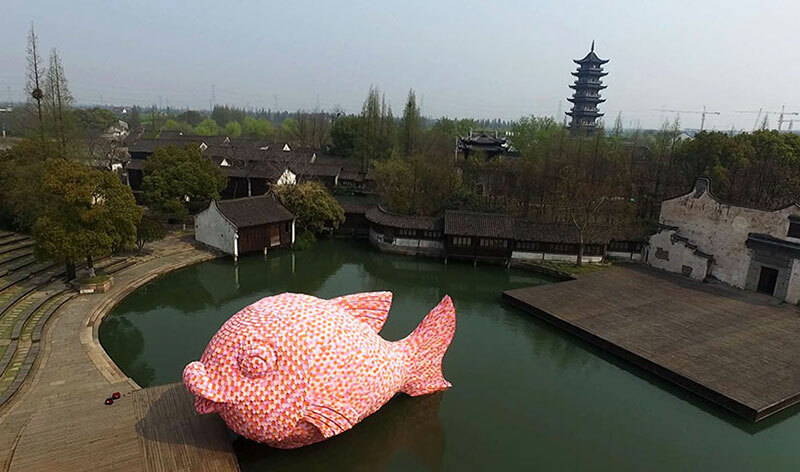 Located at the Wuzhen Water Theater two hours from Shanghai, the site specific artwork is part of the Wuzhen International Contemporary Art Exhibition and is based on a Chinese legend about a fish that followed the Yellow River and turned into a dragon. 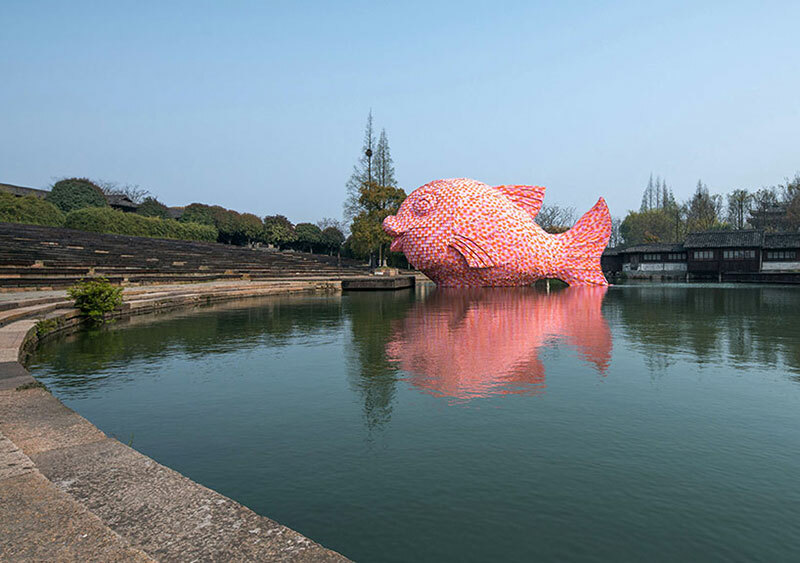 The Dutch artist visited the site in 2015 and was inspired by the location which he states "looks like a kind of SeaWorld with a dolphin or a killer whale missing that could emerge from the water at any minute." 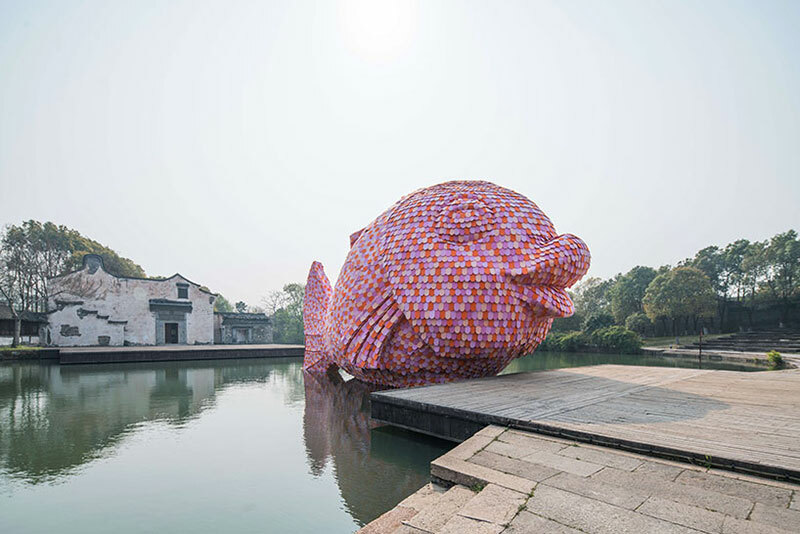 The artwork, measuring 15m long and 7m high, is made of colorful kickboards which children use as flotation devices in swimming pools. 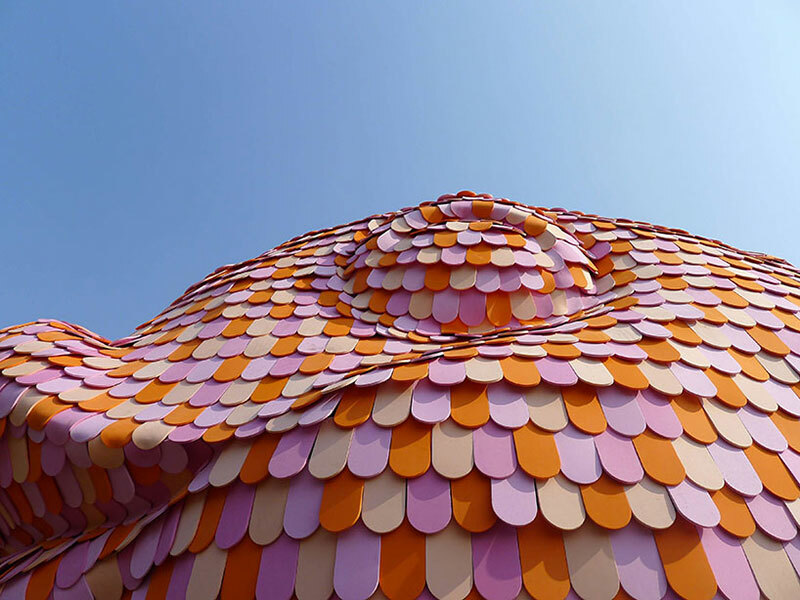 An oversized fish installation consisting of 12,000 foam kick boards by Florentijn Hofman.